Remember when a family’s home had only one phone line and someone else would pick up the phone in the middle of a call? There would be a click, a pause, the caller would then ask, “Is someone on the other line?” A hasty hang-up click would then follow. With VoIP, you can listen in on phone calls without being detected! Voice over Internet Protocol is a communication technology that uses your Internet connection to handle all of your organization’s communication needs. Businesses that switched to VoIP from a traditional phone plan have seen savings up to 80% on their long distance phone bills! 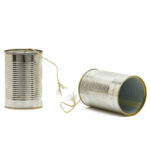 In addition to some pretty sweet savings, VoIP can also provide your business with some helpful communication features. There are three VoIP phone features that allow you to go into stealth mode over your company’s phone calls; they are Monitoring, Whisper, and Barge. 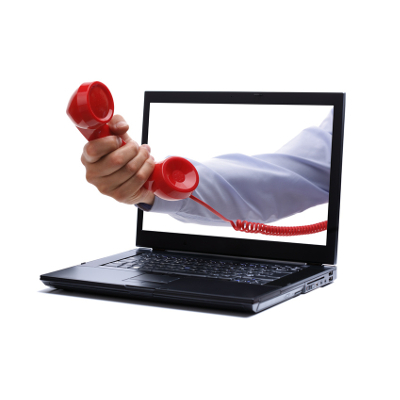 VoIP Monitoring will allow you to listen in on a phone call with your end muted. This way, you will not be detected with a click, background noise, or heavy breathing whenever you join the call. VoIP Whisper will allow you to be in on a call in such a way that only one party can hear you (it’s like you’re whispering in their ears), and with VoIP Barge you can fully enter the phone conversation. 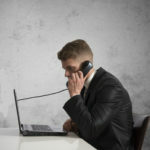 These features are pretty sweet and have been designed to assist you in training your employees on how to handle phone calls. Before we explain how these tools can be used for training, we want to go over three scenarios that these tools should not be used for. Spying: With great and powerful phone features comes great responsibility. These VoIP features give you the ability to spy on your employee’s phone conversations. Although, spying on your employees is what we would call a jerk move; and if it’s discovered that you’ve been pulling a President Nixon on your employee’s calls, be prepared to lose all leadership credibility. Spooking: VoIP Whisper makes it almost too easy to mess with people. You can listen in on people’s phone calls and then then drop lines to confuse callers, or you can use Whisper to scare someone with a loud shout when they least suspect it. April Fool’s Day is the only time when using Whisper for prank purposes is universally accepted–it’s in the April Fools bylaws, look it up. Being a Control Freak: As a manager, you have to learn to let go and be comfortable with your employees handling phone calls. 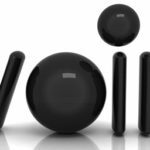 If you use VoIP Barge to take control of too many phone calls then your staff will never be able to develop the confidence they need to work the phones. 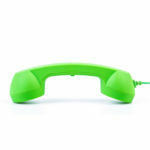 VoIP Monitoring, Whisper, and Barge have been designed as training tools to help teach your staff how to use the phone. 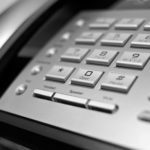 Using these three VoIP features, you will be able to listen in on the phone call without making your customers nervous by giving off clues that there’s a third person on the line. Using Whisper, you will be able to assist an employee on what to say, like details about your product or giving them insight about topics you know the customer cares about. Barge will allow you to fully join the conversation if you think the situation calls for it. With VoIP, you can even use these three features on phone calls made outside the office. As long as the call is made from your VoIP phone number, you can monitor it, no matter where in the world it originates! To get VoIP for your business, call Quikteks at PHONENUMBER, and be aware that your call may be monitored for quality assurance purposes.